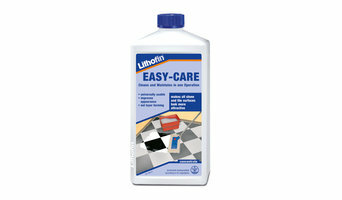 The comprehensive range of Lithofin products are specifically formulated for cleaning, protecting and maintaining ceramic, porcelain and quarry tiles, and natural and artificial stone. Suppliers of specialist building materials used principally for property restoration, refurbishment, renovation and repair. 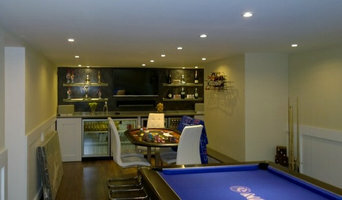 Including basement waterproofing, damp proofing, timber preservation, surface coatings, ventilation. masonry repair, paving grid. Romsey Reclamation Ltd started 22 years ago (simply as Romsey Reclamation) and has been improving and expanding ever since; gaining more knowledge and experience over the years we have worked our way through selling some several million bricks, millions more in the way of tiles and slates and hundreds of thousands of railway sleepers to mention just 4 of our products; now numbering well into the hundreds.Although things weren't always so diverse here. We started working with just roofing materials, particularly roofing slates because this is where the interest and expertise of our staff at the time lay, and those still here with us have steadily improved upon even this experience and now we have true experts on many of our long-standing products; ready to assist our customers whenever they need. In the same vein we have a massive knowledge of roofing tiles at Romsey Reclamation as this is where our business headed alongside the slates when we were starting out, and from there we have progressed and improved until the present day where the company can now sell almost a thousand different products at times!The company is owned by Trevor Halfacre, and he is a widely known and highly respected member of the trade community, not to mention the thousands upon thousands of private customers who have dealt with him and all the staff here over the years. We have had recommendations and praise from, among others, the BBC, the MoD, National Heritage, the RNLI, ITV, various and numerous massive UK organisations such as Sir Alfred McAlpine, Barrett Homes, PC Harringtons and the Association of the Festival of the Sea and of course tens of thousands of satisfied residential customers. Endy Builders Ltd are a trusted and professional company, based in Waterlooville, we cover the whole of Hampshire including, Portsmouth, Havant, Haslemere and Godalming. We undertake reactive and contract work within the Residential, Commercial, Industrial, Retail and Education sectors. Eco Window solutions install high quality double glazed windows, double glazed doors, bifold doors, roofs and conservatories bespoke to your specific needs. We are a premium window fitting company with a top reputation for price and after-sales service and support. We consider ourselves to be the best in our field of supply and fit double glazing for your home or business. Why should I use Portsmouth, Hampshire building merchants and timber suppliers? If you want to leave the building material selection to your hired contractor, architect or designer, then you probably won’t need to talk to Portsmouth, Hampshire builders’ merchants, but it is a good idea to do so if you plan to be more hands on with your project. Timber merchants will be able to supply you with any wood materials you need for flooring, kitchen worktops, skirting boards, doors and more. 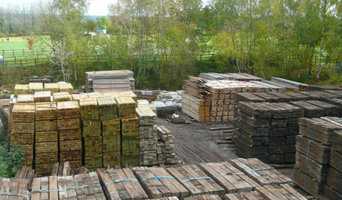 The type of timber they can supply may depend on the supplier, but most will sell varieties of hardwood, plywood and softwood; suitable for a range of uses. If you’re after reclaimed building materials for a lived-in, vintage look, then plenty of timber merchants in Portsmouth, Hampshire now offer reclaimed, salvaged or recycled wood for you to use as floorboards or wall cladding. If it all seems a bit overwhelming, Portsmouth, Hampshire building merchants will be able to advise you on the advantages of choosing certain materials. Or, you can rely on building contractors, architects and designers that may be working on your house project with you to advise or select your building materials for you. Here are some related professionals and vendors to complement the work of building supplies: Specialist Contractors, Landscape Contractors, Home Builders, Main Contractors, Design & Build. Find timber and building supplies on Houzz. Narrow your search for Portsmouth, Hampshire timber merchants and builders merchants’ by selecting the nearest city or postcode. Find trusted building merchants and building suppliers in Portsmouth, Hampshire with reviews from residential builders, interior designers and homeowners.